Hasbro has revealed G.I. Joe will be getting the Kre-O treatment through a teaser image featuring the cover of G.I. 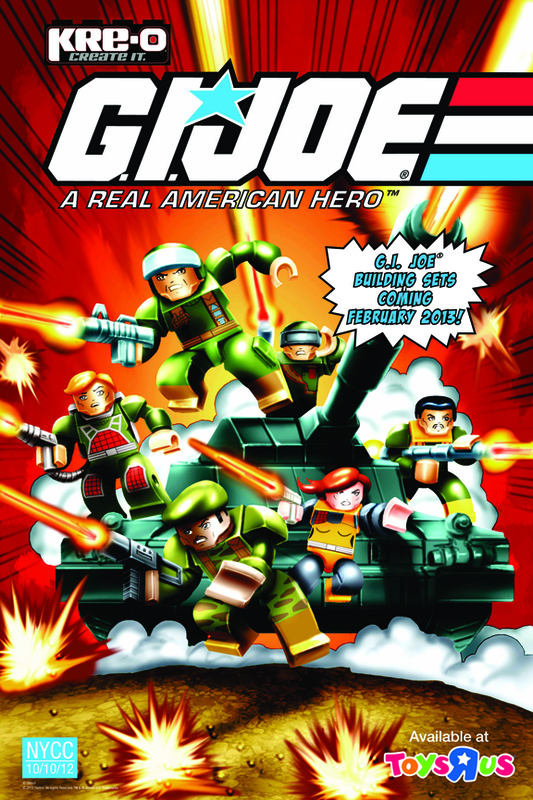 Joe #1 and the A Real American Hero team depicted as kreons. The image notes February 2013--a month before the release of G.I. Joe: Retaliation--as the release date. While Toys R Us is noted as a distribution partner, it isn't clear if the sets will be exclusive to Toys R Us stores. We expect more details to be revealed next week at New York Comic Con, which we will be attending.